✔️GREAT HEALTH BENEFITS. 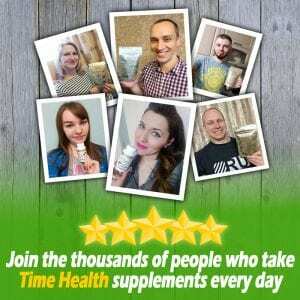 Chaga mushroom, also known as Inonotus obliquus, offer a number of benefits for the body. 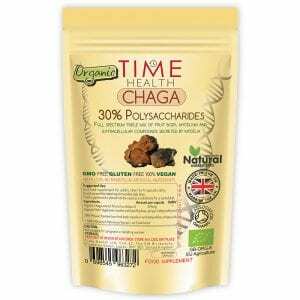 For centuries, Chaga has been used traditionally to aid immune system function and also to boost overall health. Our extract is packed with antioxidant power, helping the body fight off free radicals attacking our cells. ✔️FULL SPECTRUM, DUAL EXTRACTED. Triple mix of fruit body, mycelium and extracellular compounds secreted by mycelia. Dual extracted with alcohol and water to draw out water-soluble and the non-water-soluble bio actives. ✔️3RD PARTY TESTED. 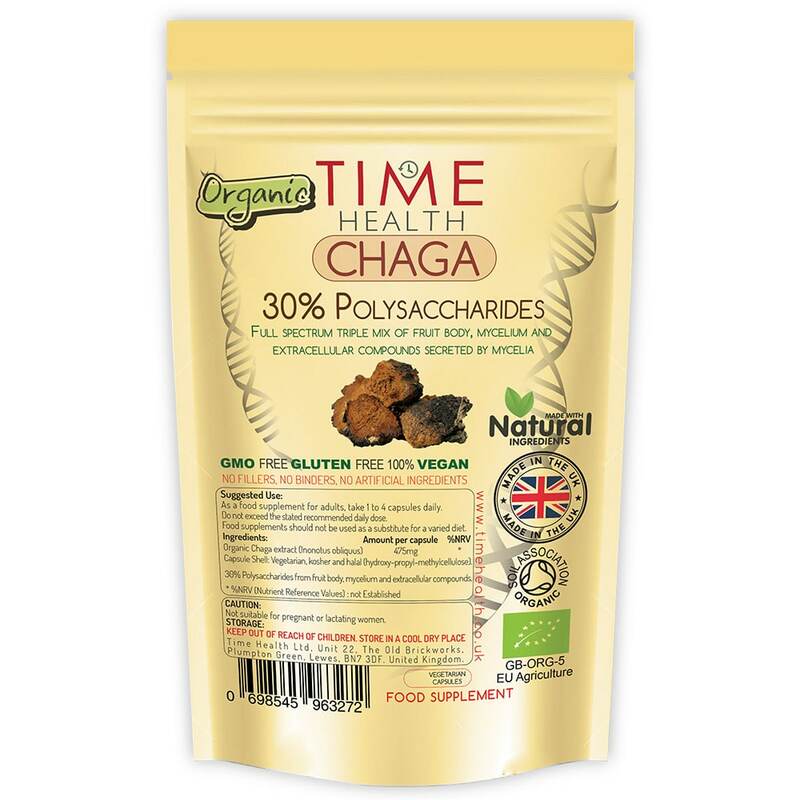 Our organic chaga is 3rd party tested for 8% beta glucan content. ✔️CERTIFIED ORGANIC, VEGAN & GLUTEN FREE. 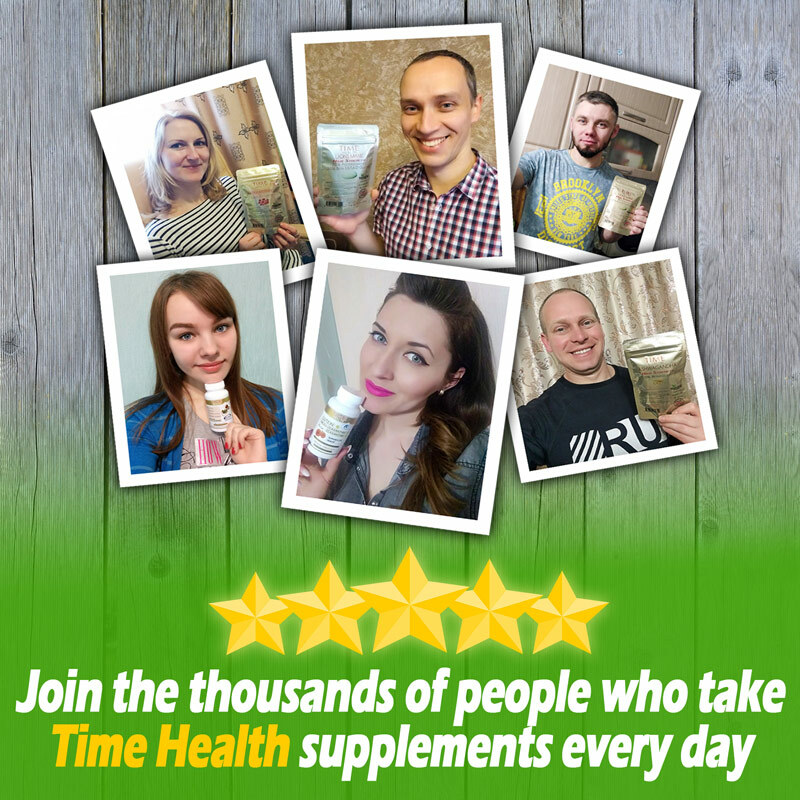 Time Health Organic Lions Mane extract is soil assocation certified organic and grown on organic plant-base food-grade gluten-free substrate in Europe. ✔️UK MADE, GMP STANDARD, NO FILLERS, BINDERS OR ADDITIVES. Manufactured in the UK to GMP standard with only the finest quality raw materials with no fillers, binders or additives. 475mg Chaga ORGANIC Extract (Inonotus obliquus‎) 30% Polysaccharides. As a food supplement for adults, take 1-4 capsules daily, or as directed by a healthcare practitioner. Do not exceed the stated recommended daily dose.